Wind Chimes was written for the Seventh Berkshire Dance Gala at South Hill Park, Bracknell in 1989. Jointly commissioned by South Hill Park and dance group Praxis, it was choreographed by Praxis with music performed by the Park Wind Quintet. The original movements were based on the theme of children's games but the music has no specific interpretation. It has subsequently had concert performances. The principal musical challenge is to maintain a clear rhythmic pulse as short patterns are passed from one player to another. 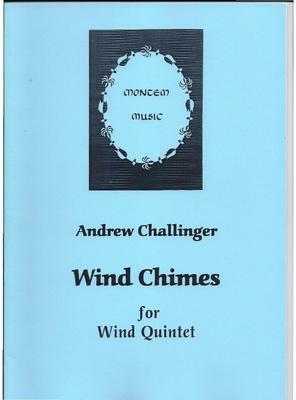 What do you want to know about Wind Chimes?